DUFOUR - Perse Afghanistan et Balouchistan . . .
DUFOUR, A.H. - Perse Afghanistan et Balouchistan . . .
Perse Afghanistan et Balouchistan . . . - DUFOUR, A.H. Title : Perse Afghanistan et Balouchistan . . .. Size : 13.8 x 16.5 inches. / 35.0 x 42.0 cm. 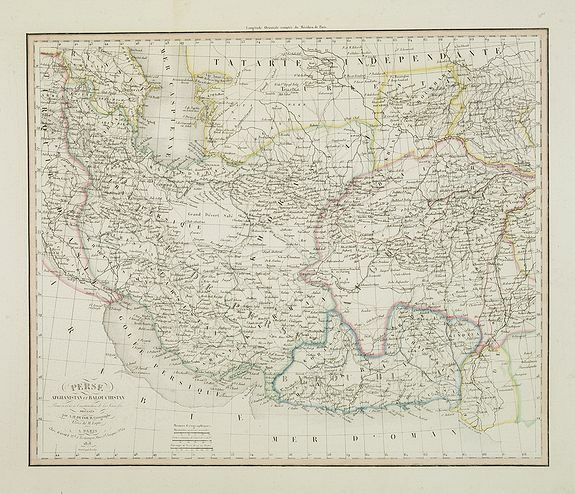 Description :Detailed map of Irak and Iran, prepared by A. H. Basset, rue Saint-Jacques, no. 64, Paris and published in Atlas classique et Universel de Géographie . . . . The Balochistan region is the region covering southwest Pakistan, southwest Afghanistan and southeast Iran.